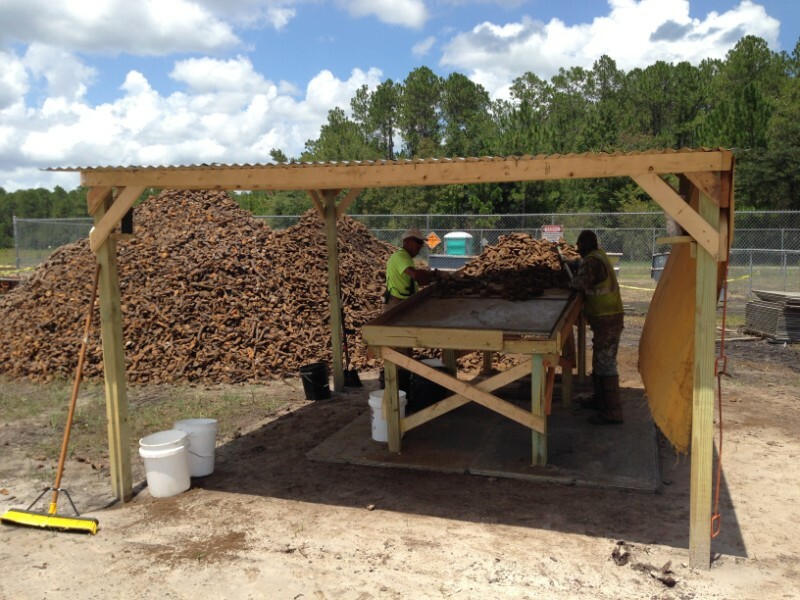 SRS is managing two $4 million indefinite delivery/indefinite quantity (ID/IQ) contracts to perform excavation, removal, and disposal of hazardous waste [Operational Range Clearance (ORC)] at the Navy’s Rodman Range in the Ocala National Forest in central Florida. The Rodman Range is a several hundred-acre practice bomb target that is part of the Pinecastle Range Complex. SRS conducted the first, full subsurface clearance in the last 75 years of the approximately 100-acre Rodman target center. 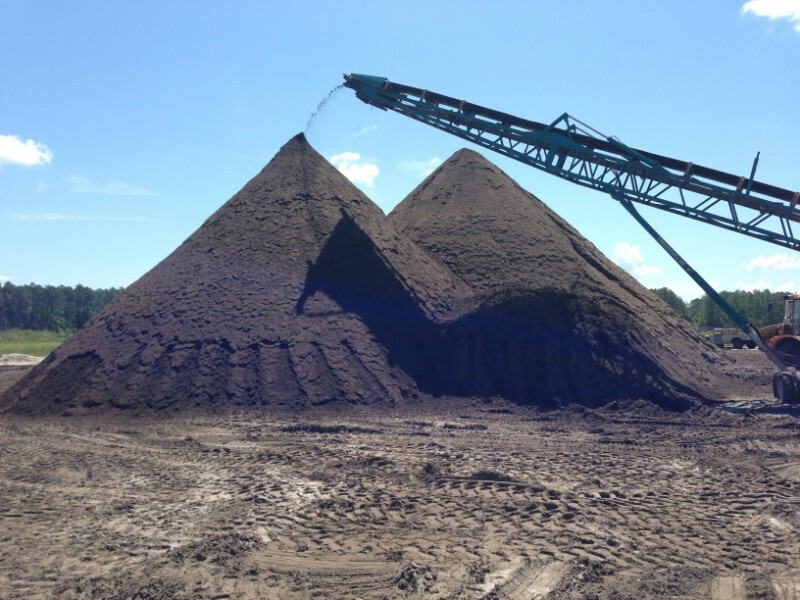 The Navy scope of work calls for SRS to excavate, sift, and replace material across 100 acres of the Rodman Range to 3 to 6 feet below ground surface (bgs) depending on the vertical extent of contamination, or up to approximately 968,000 cubic yards, and to remove all of the practice ordnance down to ¾-inch in diameter. Practice munitions include 20mm projectiles up to 2,000-pound bombs. 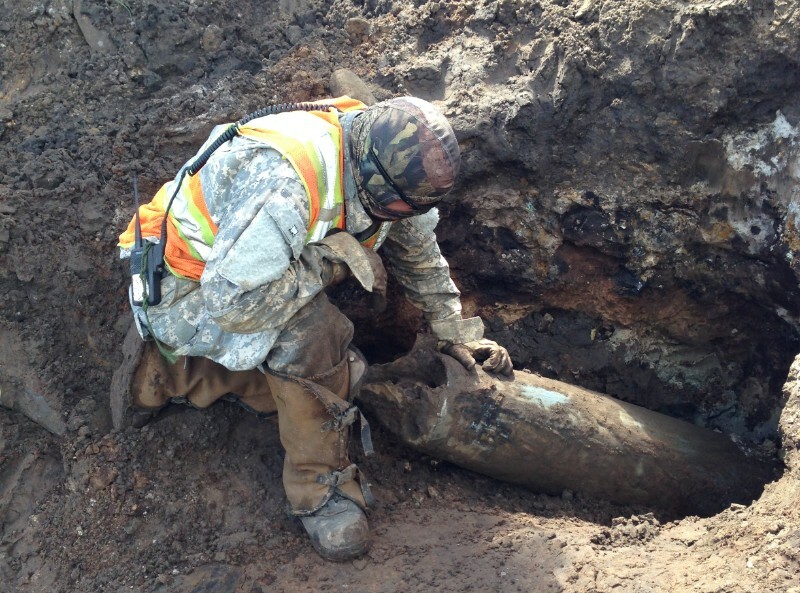 SRS is conducting excavation and sifting of range soil and removing all practice ordnance, including some live (legacy) ordnance and other non-ordnance related metal. SRS is recovering and stockpiling practice ordnance for later demilitarization on-site under a third $4 million IDIQ. 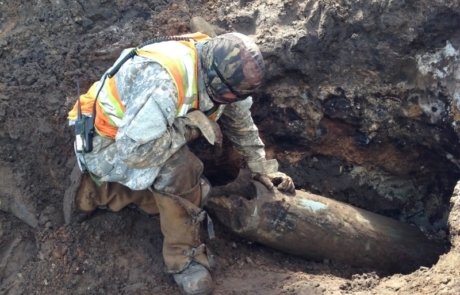 SRS is recovering approximately 500 tons of 25-pound practice bombs per month. Practice bombs will be demilitarized (crushed) on-site. 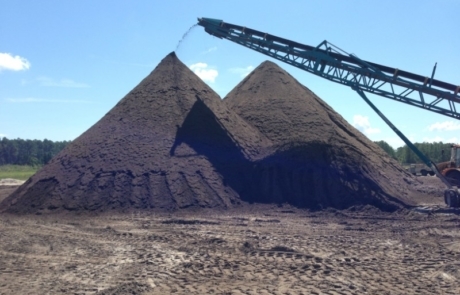 The resulting metal will be inspected for energetic materials, and the resulting clean metal recycled on the local metals market. 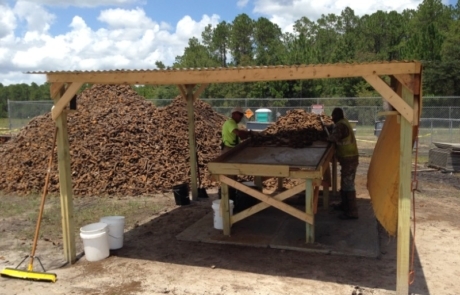 Funds received for recycled metal will be credited back to the Navy to fund further cleanup.